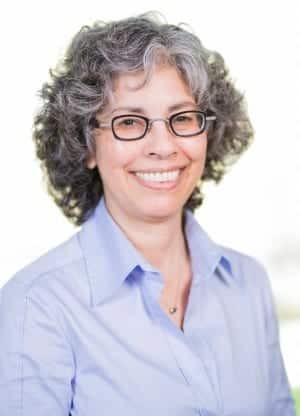 Pilar N. Ossorio, UW-Madison professor of law and bioethics, explores this new frontier of genomics-based ethical challenges, as well as the related regulatory, policy and privacy issues, as the Morgridge Institute’s inaugural bioethics scholar-in-residence. Ossorio’s career began as an accomplished bench scientist studying the biological mechanisms of Toxoplasma gondii (T gondii), a parasite that may contribute to neurological disorders such as schizophrenia. Her interest in bioethics began during service on the Bioethics Working Group for President Clinton’s Health Care Reform Task Force in 1993. Ossorio then consulted for the federal program on the Ethical, Legal, and Social Implications (ELSI) of the Human Genome Project and took a full-time position with the Department of Energy’s ELSI program. Some of Ossorio’s early work in bioethics centered on how to better define and operationalize the variables of race, ethnicity, and ancestry in research studies. Certain diseases and disorders were once linked to specific races, but population shifts, environmental factors, and underlying genetic information make these differences much less distinct today. Likewise, Ossorio examined the ethical and legal implications of genetic information used in racial profiling for criminal prosecution. Ossorio has addressed potential employment or insurance discrimination due to applicants’ adverse genetic predispositions to disease, as well as the benefits of matching treatment and nutrition plans to patients’ underlying DNA. Ossorio also shed light on the issues of genetic data ownership in the patenting of new biotechnologies. From 2005 to 2010, Ossorio consulted in a groundbreaking court case regarding the lack of ethical oversight in the use of DNA data collected from the Havasupai Tribe of Arizona. The data was used in studies not known or approved by the tribe, and a settlement favoring the tribe was reached with Arizona State University. Ossorio serves on the Human Embryonic Stem Cell Research Advisory Committee. Her expertise proved invaluable during the period of James Thomson’s early discoveries leading to the isolation of the first human embryonic stem cell lines. More recently, Ossorio studied the unique data collection capabilities of social networking and online gaming websites. These areas require new ethical guidance from federal regulators concerning online research involving adolescent subjects, she concluded.